Husqvarna 460 Rancher - Is it Superior To The 450 Rancher? 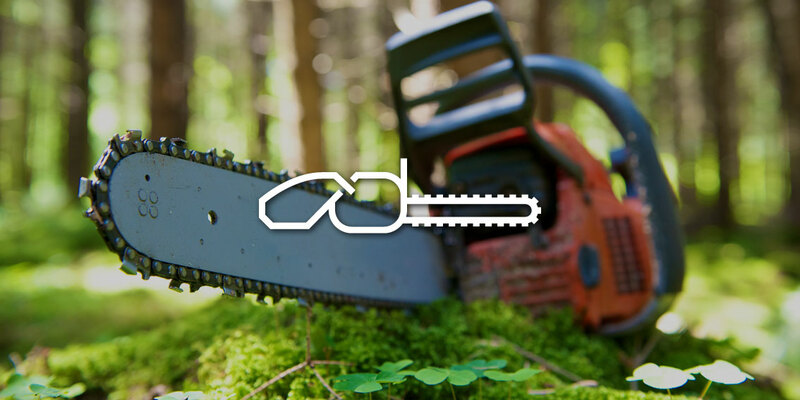 If you’re chopping wood, clearing trees, or removing road obstacles, having a powerful chainsaw in hand can make all the difference. Yet, these power tools aren’t all alike—especially when it comes to quality. Inexpensive chainsaws might initially seem like a good deal. 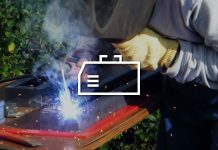 However, they can end up costing you almost three times what they’re worth in repairs, time, and energy. What’s worse, some pricier models can be riddled with defects that make them difficult to use and costly to repair. However, that’s not the case with the Husqvarna 460. Made by a well-known and dependable manufacturer, this chainsaw is a cut above the rest. What makes this rancher so unique? Read on to find out. If you’re a fan of the Husqvarna 450, then you’ll also appreciate the Husqvarna 460 rancher—with the only major difference between the two being the size of the bar. While the former has an 18-inch bar, the 460 rancher comes with a 20-inch bar. Even better, it can operate with bars ranging in size from 14-24 inches. Additionally, the 460 features a powerful 60.3 cc engine that generates a whopping nine thousand rpms. 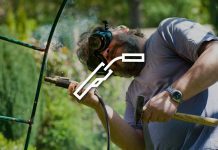 The X-torq engine also makes this tool fuel-efficient and CARB compliant, so you don’t release as much exhaust into the environment. You also don’t burn a hole through your pocket purchasing fuel. 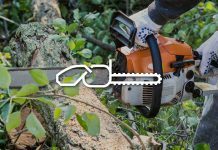 What’s especially convenient about Husqvarna products is that they’re designed to make processes like starting and stopping the chainsaw nearly effortless. The same unique structure is incorporated throughout the 460 rancher with features like a choke that can instantly flip the start switch. This makes starting the machine a lot simpler since you’re not pushing and pulling a dozen levers just put the product in start mode. Even better, this product comes with an adjustable oil setting that allows users to choose between low, mid, and high so you always have just the right amount of bar oil and fuel for every project. 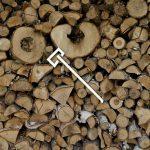 All these features combined add up to create an incredible tool that can help you complete even the biggest wood cutting tasks. Let’s take a look at what the 460 rancher can do. Not sure if a 460 rancher is right for you? Well, there are a few reasons why you should consider purchasing this unit. Firstly, it’s a pro at breaking down large chunks of wood. 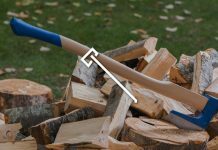 The larger bar application makes cutting logs even 20 inches in diameter easy. So if you’re a homeowner, handyman, or self-proclaimed lumberjack, this unit will help make short work of some of the most challenging tasks. 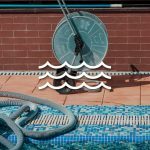 What’s more, you don’t have worry about investing in a mid-priced product that’s only bound to last for small out of time before requiring serious maintenance. 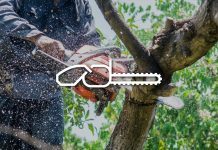 Husqvarna is world renown for its quality and durability, with many chainsaw reviewers reporting that their chainsaws last for 20 years or more. In fact, this company is so dedicating to making sure that you’re satisfied with the chainsaw that they will actually extend the two-year warranty to four years if you register the product online. It doesn’t stop there, however. Like a lot of Husqvarna products, this chainsaw is easy to start so you never have to yank on the pull more than a couple of times to make the engine start. 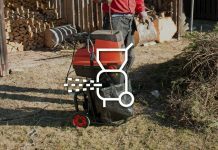 Although quick start features are growing more common among chainsaws (and other products like lawnmowers) throughout the market, with the 460 the feature actually works. 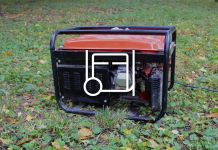 As long as you use the right type of fuel with 460, you’ll find that it will usually start on the first try. Even better, installing bars and chains on this machine is simple and completely hassle-free. But the most important aspects of any chainsaw are the safety features. The last thing you want to do is purchase an expensive power tool that proves to be difficult and dangerous to handle. What’s especially curial when it comes to safety is the safety of others around you. That means you need a product that features child and/or pet proof storage, which is exactly how the 460 rancher is built (more on safety in a bit!). Husqvarna 460’s Pro’s and Cons? Unfortunately, no chainsaw is ever perfect. As with most purchases, you’ll find that there are some significant perks as well as some drawbacks to the 460. · The chainsaw features tethered fuel/bar and chain oil caps that make changing the fuel a breeze. You never have to worry about misplacing or dropping the caps. · Tensioning the chain is also hassle-free thanks to the very accessible tensioner located on the side of the machine. · The oil purge also makes adding oil into the carburetor easy and can be adjusted as needed depending on the task. · Accessing the spark plugs and air filter is also less work in light of the easy-to-remove cylinder cover. · It also features an air cleaning system that blows large pieces of debris away from the air filter, keeping it in working order. · Features an air filter that needs periodic replacement, rather than a permanent air filter that comes with other models. 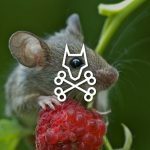 · It’s slightly heavy, especially when compared to electric models. When it comes down to it, however, what this machine has to offer significantly outweighs the Husqvarna 460 rancher problems. 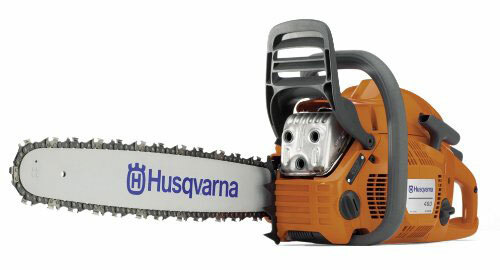 What are the Husqvarna 460’s difference with other Husqvarna chainsaw models? As part of Husqvarna’s line of “rancher” chainsaws, you’ll find that this product has plenty in common with other models such as the 450 or 455. You may especially notice these similarities in comparing design and structure. For instance, like the 450, the 460 rancher features an x-torq engine and smart start—two features that are fairly common among this line of products. How this particular model tends to differ is that it’s a bit more powerful than these other units. In fact, it’s arguable—and many reviews do indeed make this case—that this rancher is the most powerful Husqvarna chainsaws available. Whether or not you buy that it’s the most powerful, you’ll find that this chainsaw provides you with a range of power not available on most other chainsaws. 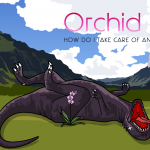 What are its safety features? One of the best aspects of the 460 rancher is that it comes with a variety of safety features that reduce the risk of injury by a number of degrees. Among the most notable features are the plastic bar cover and the ergonomic structure. The bar cover eliminates the possibility of anyone getting hurt when the product is not in use. Additionally, this unique design, which features a rear handle and hand guard, makes the chainsaw both very user-friendly and also pain-free to operate. There are also other key safety elements that aren’t quite as apparent. These include the automatic chain brake, which is meant to instantly cut power to the chain in the event of kickback. Another unique feature is the anti-vibration mechanism, which is a saving grace for home users and professionals as well. 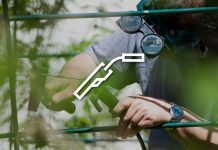 Even if you just use your chainsaw occasionally, this technology can limit the amount of fatigue you feel in your wrists. For professionals and those who cut wood often, the anti-vibration feature can also reduce your odds of developing a condition called hand-arm vibration syndrome, which can become debilitating over time. How powerful is a Husqvarna chainsaw? One of the perks of having a Husqvarna chainsaw: the incredible amount of power these products deliver. If you’re used to using inexpensive chainsaws that costs under $100, it might sound odds to invest over $450 on a power-tool. Husqvarna chainsaws—and particularly their line of ranchers—actually rival some professional grade machines when it comes to their power output. These chainsaws are actually so powerful that they can even cut through logs that are over 30 inches in diameter. While it won’t cut through these bigger logs as though they were butter (something that highly professional grade products can do—if you’re willing to fork over anywhere between $1,000-$5,000), you can get these larger projects done with this saw. 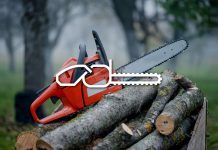 How does it compared to other chainsaws in same price range? When it comes to price, the 460 rancher is considered to be a mid-price option. Remember, with chainsaws especially, you get what you pay for. Less expensive options are typically appropriate for limbing and felling smaller, narrow trees. With the rancher, there’s just a wider range of projects you can complete. Additionally, considering their power, this chainsaw tends to be more durable, which means that it’ll last longer. How is its fuel consumption? Unlike a lot of older models, the Husky 460 uses less fuel. 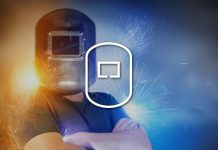 In the long run, that means that users actually save money since fuel tends to be one of the more expensive portions of operating and maintaining a chainsaw. Overall, this product uses about 437 g/kWh of fuel, which is much less compared to the Husqvarna average of 490 g/kWh. When it comes to chainsaws, the Husqvarna 460 rancher ranks in at an average weight. The entire product weighs just over 12.5 pounds, which makes it light but not as light as some of the more expensive models you’ll find on the market. Generally, you may want to take breaks in between tasks to avoid tiring out quickly. How loud does its engine's sound produce? Compared to most gas models, this unit produces about an average noise level. The sound is tolerable and is by no means deafening. On the other hand, if you’ve used a lot of electric chainsaws before, you’ll definitely feel a difference between those products and volume that this unit produces. Since it does operate on a combustion engine instead of a motor, you’ll find that this chainsaw is considerably louder. However, the Husqvarna 460 rancher has greater power to offer compared to most electric units and even some gas-powered chainsaws. Unfortunately, as with most purchases, you’ll find that you’ll have to compromise on some features. When it comes to this particular model that comprise falls on the sound factor. Typically, more power just equals more noise. How do you tune and maintain Husqvarna 460? To keep your chainsaw running it tip-top shape, you want to clean it on a regular basis (preferably after each use). Cleaning out areas like under the brake cover and the sprocket will prevent your saw from experiencing malfunctions caused by obstructions such as sawdust or wood chips caught in these areas. More importantly, always make sure to add enough bar and chain oil as well as fuel to your machine. 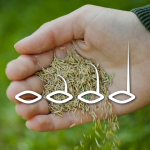 Never operate a product that doesn’t have enough fuel or chain oil, and never use ethanol-based oil with your product. With this 460 rancher, you may also need to change the bar and chain periodically. The bar especially has a tendency to wear down over time. 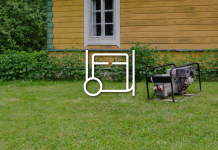 Finally, always refer to your Husqvarna 460 rancher manual before adding oil, switching out the chain, or doing any other maintenance on your product. A quick peek at the manual can save you a lot of hassle and frustration when tuning up your machine. Quality is especially important when you’re buying a chainsaw so don’t spend time or money on a substandard model. As a nearly professional grade machine, the 460 rancher won’t let you down. Additionally, when it comes to price, few models can rival the amount of power this product delivers considering the price range. Even comparing Husqvarna to the revered Stihl, such as comparing the Husqvarna 460 rancher vs the Stihl farm boss, the Husqvarna provides more features for less money. 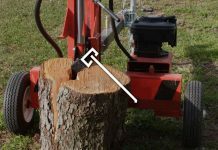 If you especially plan on using your chainsaw often, don't overlook the importance of having a low maintenance, but a highly effective product like the 460 rancher.